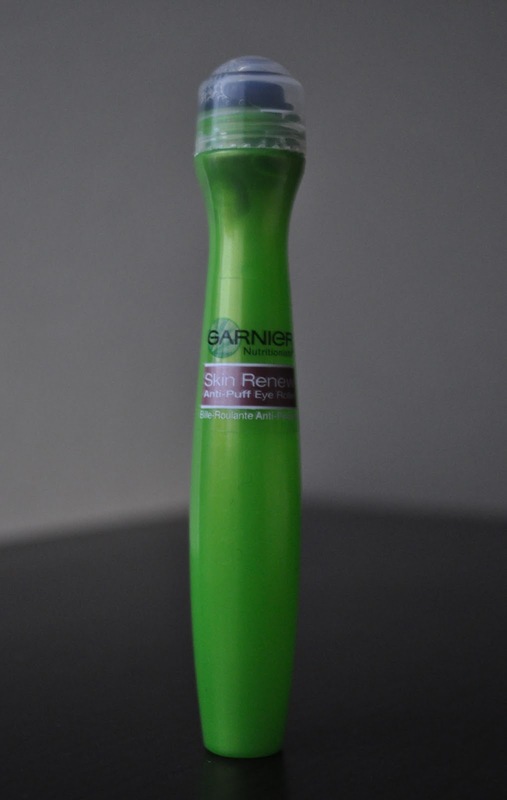 Today's post will be a short two-in-one review since the Clinique All About Eyes Serum and the Garnier Skin Renew Anti-Puff Eye roller are similar products (why not kill two rollers with one stone?). I purchased The Garnier Skin Renew Anti-Puff Eye roller at Walgreens and the Clinique All About Eyes Serum sample size was purchased using 100 points from my beauty bank at Sephora. Now, I've never had a problem with dark circles or crow's feet, but due to my bad allergies or lack of sleep, I do occasionally experience some puffiness under the eyes. Also, even through I don't have dark circles, I still would love to brighten my under-eye area. So, I decided to give these two products a go and see if either of them would live up to their claims. Both these products state that they "instantly renew,refresh, hydrate and brighten" the eye area as well as "diminish dark circles and reduce puffiness." 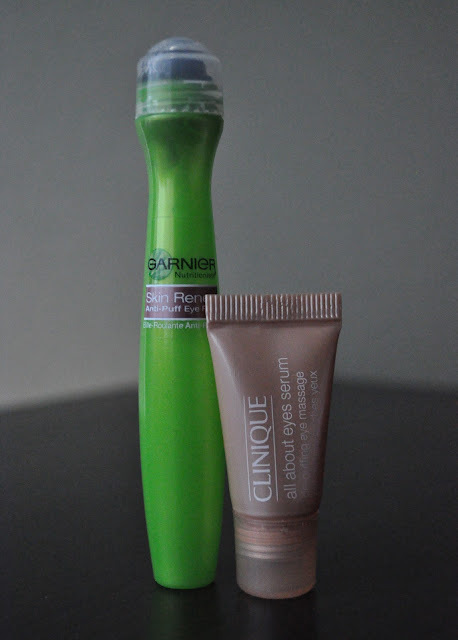 After using both products for two months (during two separate periods), I found that neither the Clinique nor the Garnier roller renewed, refreshed, brightened, diminished dark circles or reduced any puffiness. Both these products did more harm than good. My under-eye area became extremely dry and started to look crepey. In addition to poor product performance, I found that the serum in both rollers would dry around the edges of the metal ball; thus, making it difficult to distribute the product and, at the time, it would pull on the skin. I'm extremely disappointed with the results (or lack thereof) of both Rollers. Don't waste your money on either of these products...invest it elsewhere! I have the roller ball and it just is a nice cooling feeling, but it doesn't do anything for me either. 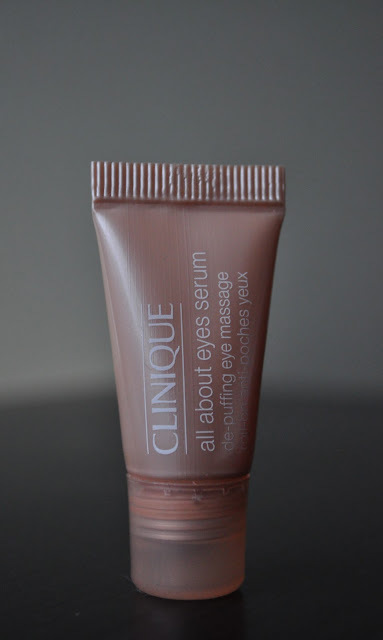 Recently I decided to start using eye cream, because all this studying is really creating dark circles around my eyes. I'm 20 so I don't have wrinkles or anything, but I'm in process of testing different creams because it's never too early to start hydrating under the eyes!! Urban Decay Black Friday Sale! Pepsi Pink, Strawberry Drink Forever?